Flexible placement, tailored according to your interests and abilities. Experience the unique interculturality and sustainability of the Ecuadorian culinary field, which is becoming known for its fruits, vegetables, nuts, flavors, and insects. Increase your plant identification, agroforestry, sustainable agriculture, herbalism, and other cooking speciality skills. Hands-on experience and organize Farm to Table (Forest to Table) methodology, to help grow a rural indigenous family’s restaurant into a main attraction in the region. Option to collaborate part-time in a botanical garden, public park with a tree nursery, community tourism restaurant, traditional medicine and herbalism association, and more. Learn about agriculture, indigenous rights, women’s empowerment, ecotourism, Fair Trade, and Organic certifications and social entrepreneurship. Numerous research & dissertation opportunities available with partner organizations and universities, if requested. 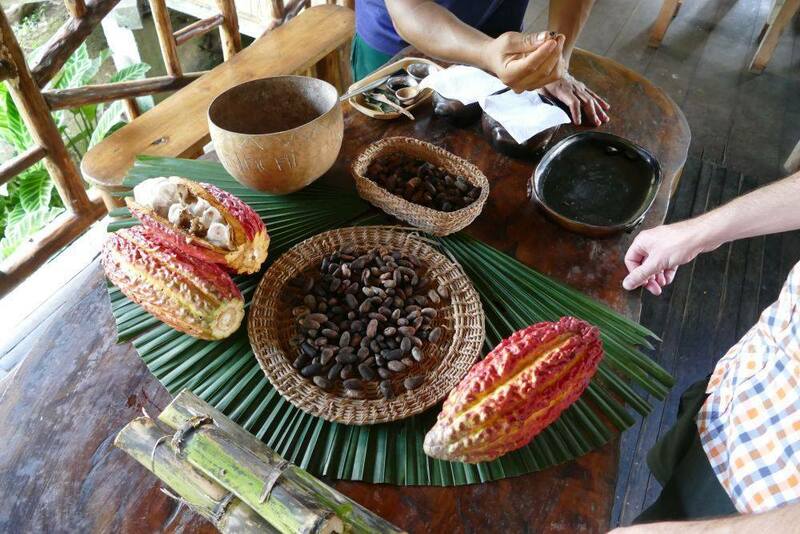 Participate in and help develop cultural exchange events including ecotourism, medicinal plant remedy workshop, farm to table Amazonian forest foods meals, and guayusa tea ceremonies. Keywords: culinary arts, forest foods, sustainable agriculture, organic agriculture, herbalism, ethnobotany, clinic, midwifery, hospital placement, flexible serious internship, medicine, emergency medicine, traditional healing, indigenous rights, agroforestry, biodiversity, sustainable development, research, community development, economic development, climate change, women’s empowerment. The Amazon rainforest is home to the most biodiverse ecosystem in the world, with over 40,000 plant species and 2.5 million insect species! Also incredible is that 25% of Western pharmaceuticals are derived from the rainforest, yet only 1% of the materials with potential have been tested – the Amazon is an idyllic place to be studying and learning about culinary opportunities and herbalism due to the vast amount of plants and indigenous knowledge. Yet, the comidas tipicas (typical food) of the region is composed of farmed river fish and chicken, rather than the delicious and abundant foods of the rainforest. For this internship, you will live with a farming family in the Napo province, centered around the main city of Tena, about 4 hours East of Quito, Ecuador’s capital city. You will be living in a community, with an indigenous family that is working to bring value back to their traditional forest foods. Their goal is that locals and visitors alike will re-establish their link to the Amazon forest and the health and diversity it’s plants and other products provide. Because you live with local families that also eat a majority of their meals from their chakras (agroforestry gardens or farms) and practice traditional medicine using herbs also from their chakra, you will forge meaningful connections to the people and plants of the Amazon as you will be living amongst them! At the same time, you can gain perspective on what it means to incorporate these products into meaningful collaborations that support local economies in an environmentally sustainable way. In addition to engaging in unique Amazonian activities such as swimming in waterfalls, making chocolate from fresh-picked cacao, and trekking in the virgin rainforest, our immersion program offers the chance to become part of an Ecuadorian family and community, dive deep into language learning (Spanish and Kichwa! ), and create your own creative community-based projects. 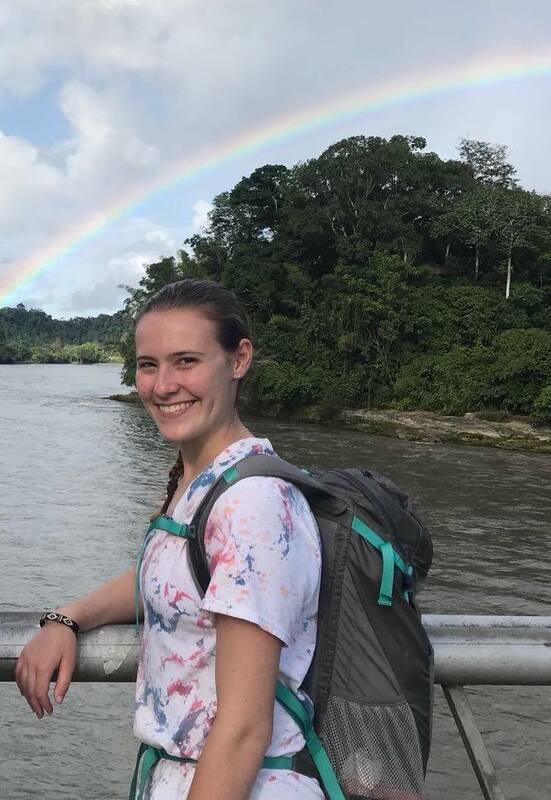 This is an opportunity for motivated, enthusiastic, and adventurous interns to immerse themselves in the most biodiverse place in the world – the Amazon rainforest. 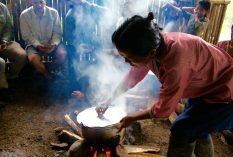 It is a unique opportunity to see and be a part of the changes that are occurring as families try to bring value and modern flare to their traditional forest foods. If desired, you could also participate in research and innovative projects to continue to analyze this union and cultural significance. During your internship, you will first have a 3-day orientation to start learning about the culture, people, geography, and what it means to be an intern abroad. After this, it is guaranteed that no day will be the same, as you will move in with your indigenous host family! Perhaps you will be getting up at 6am every morning to brew and drink guayusa with your host Grandmother and talk about your dreams, while preparing green plantain and wild ferns for breakfast. Whatever it may bring, the host family immersion is a crucial part to your hands-on knowledge sharing. While immersing into their home and community, you’ll begin collaborating and learning in your internship as well. Many farming families, organizations, and community/ecotourism initiatives are working hard to re-value and preserve the traditional forest foods while also bringing a modern culinary flare to the dishes. Through this internship, you will have the chance to be a part of this movement to value the boundless and delicious sustainable, local, organic agriculture, insects, herbs, and flavorings. Some of the amazing products you will get to learn about and experiment incorporating into dishes include ishpingo (Amazonian cinnamon), ajo de monte (wild garlic leaf), maduro (sweet plantain), muru inchi (Amazonian peanut), chontacurro (grub), chontaduro (peach palm), and pes electrica (river eel), to name a few! Your main internships can be combined with us supporting you to network with communities, entrepreneurs, restaurants, governmental projects, and women’s groups, to create an independent research project. The best airport to fly into is Quito (UIO, Mariscal Sucre International Airport) as it is only 4 hours from the project. You will be put in contact with the director of the program upon applying and they can give easy to follow instructions to get to the project Headquarters from Quito or Guayaquil International airport. You will stay for the first 3 nights in the town of Tena for orientation (accommodation is provided), and then will spend the rest of their time living with a local host family. This is an amazing opportunity to integrate fully with the local community, culture, and learn Spanish. Host families also provide 3 meals per day, bedding, mosquito net, and a place to do your laundry. We recommend that interns commit to 8 weeks on the ground in Ecuador, have an intermediate level of Spanish proficiency (or a strong motivation to learn quickly before and upon arriving! ), and bring knowledge in their area of research if looking to do a personal project. Interns are expected to finance their own travel costs. For those interns looking to do their own research or fieldwork for university – we offer the knowledge and time of our network, technical knowledge and informational databases, access to communities, NGOs, government agencies, and consultants, and pre- and post-research support. Minimum 2 weeks commitment (40 hours/week), recommended 8-12 weeks. Industry professionals, graduate/undergraduate students majoring in pre-medicine, global health, public health, community development, or a related field. $450 USD for the 1st week, $250 USD* for each week thereafter. *** Places are confirmed with a 1 week deposit. Accommodation and 3 meals a day with a local Host Family. This includes a private room, shared bathroom, all bedding, and place to do laundry. Alumni group and future references. Additionally you will need about $15/day for food for the first three days of training. You will also need to pay for your own transportations and any other activities you want to do. Flights, insurance, visas (if applicable) and vaccinations. We understand there’s a great deal to plan and organise for your trip. When booking a Placement, many of our participants choose to purchase our Premium Support Upgrade to benefit from the expertise, knowledge and experience of our Project Coordinators. We can provide the personal advice you need to ensure your trip is organised with excellence and planned with efficiency; ensuring the very best experience possible. Read more about how we can help you.